Nowadays, betting online is everyday more popular. You can choose among many bookmakers and markets. But what if you are a high volume punter? Sometimes, bookies don’t like this type of bettors, especially when they win a lot. But, BET-IBC, which is a very trusted broker, offers a product for those customers that want to bet without limits: Skype Betting. 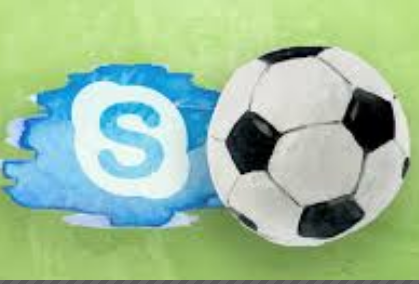 Skype Betting is a product that allows high rollers to bet high stakes, but only on football matches. Why is this so popular among punters? Simple: high stakes, better odds and here we don’t void bets. What do I have to do to access Skype Betting? You will need a VIP-IBC account in order to check Singbet market, since in Skype betting you can only bet on what Singbet offers and only football. Once you have the VIP-IBC account, you will need a Skype or Telegram account to send your bets for us to place them. High stakes in all leagues. Pre Match and Live match available. So, we can say that Skype betting via BET-IBC is a product that has been launched In order to please those customers tired of limits in all bookies and want to have the highest stakes at the best odds. So, If you think you are a high roller, then this product is for you.